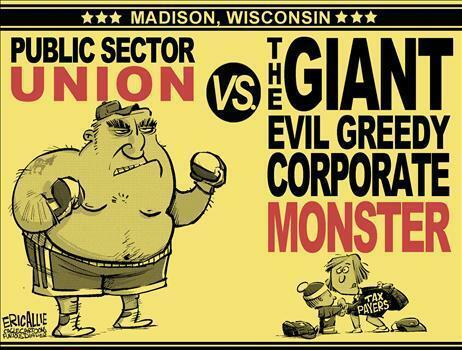 Public Unions vs Corporate Monsters. . Wallpaper and background images in the U.S. Republican Party club tagged: republican politics funny parody 2011 public sector unions comics. This U.S. Republican Party fan art contains anime, comic, manga, cartoon, comic buch, karikatur, and comics.